The third event in the Scottish Traveller Trophy series has been completed at Bardowie Loch. A dry, warm, sunny day with a gentle breeze greeted competitors and supporters when they arrived at Bardowie Loch. 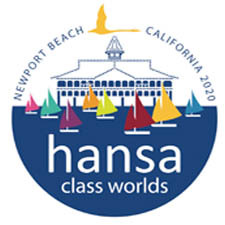 Everyone set to preparing their boats, with more experienced folk helping new proving the Hansa class is surely the Friendly class. After the clear, supportive briefing the fleets launched with great confidence, one boat deciding to explore the reed beds before it was towed out by the attentive rescue boat. 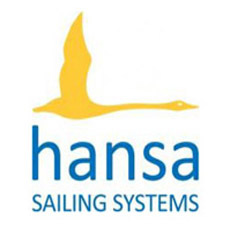 The race management team planned 4 races using their local knowledge to set courses that challenged the growing ability of the Hansa sailors. There was close racing in all the races culminating in Race 4 when the heavens opened and the wind picked up. Once ashore again everyone helped each other pack up the boats travelling away. The results were announced and prizes presented. A vote of thanks was given to all at Bardowie, who had helped organise and run the day. Friends, old and new, said good bye until September when we will meet at Castle Semple for the Scottish Multiclass Regatta where the Traveller series will decided and the first Scottish Champions declared. Overall results for the Scottish series are available here.